Square Enix has just released a new video for its up and coming game Kingdom Hearts III. The three minute long video is a gameplay overview of the Kingdom Hearts III. The game is coming on January 29, 2019 for PlayStation 4 and Xbox One. The new gameplay video starts by telling the game story and shows the Kingdom Hearts III different Disney worlds, and then comes the mystical Keyblades, the video showcases different Keyblades, Sora can equip different Keyblades and swap between them during the fight. Each world offers a new unique Keyblades inspired by the characters of that world. 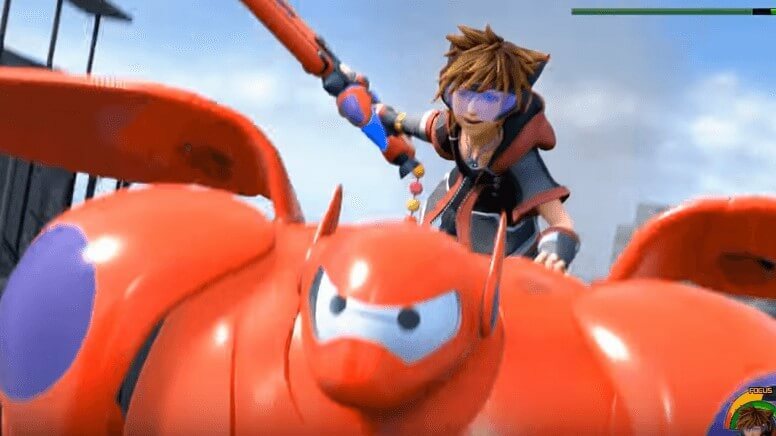 Keyblades can target multiple enemies at once. Sora's other powerful skill is the magic, that can be used for offensive and defensive purposes, new magic can also be learned. The video also showcases the combat in the Disney World attractions. Another cool feature is that, you can link other Disney characters throughout the game, you can make team with them. The gameplay video also showcases the gummi ship and how you can collect and customize your gummi ship to travel between the worlds. Kingdom Hearts III contains a lot of mini games that you can play. Watch the Gameplay Overview video below. "Welcome to the world of KINGDOM HEARTS III and Sora’s epic journey to restore light to the worlds and attempt to finally defeat Master Xehanort, the real Organization XIII, and the darkness that threatens all! Check out this video to learn more about the wide variety of attacks Sora has at his disposal to take on the darkness! Learn about the mystical Keyblades and their powerful transformation. Sora will also be able to cast magical spells, link with the spirits of legendary Disney characters, and even call upon the power of the parks with Attractions!"